Kalisha hasn't connected with her friends on Goodreads, yet. 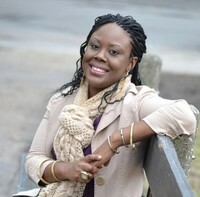 Kalisha Buckhanon's novels are Speaking of Summer, Solemn, Conception and Upstate. She was born and raised in small town Illinois, and has three degrees in English Literature and Writing from University of Chicago and The New School in New York City. She and her work have been featured in Essence, The London Observer/Guardian, People, Entertainment Weekly, Marie Claire, Elle and many more. Her New School M.F.A. thesis sparked a remarkable literary debut: Upstate is an American Library Association ALEX Award winner, Hurston/Wright Foundation Debut Fiction nominee, Terry McMillan Young Author Award winner, its audiobook won an Earphones Award and Audie Award in Literary Fiction with narrators Chadwick Boseman and Heather Simms, and it is publ Kalisha Buckhanon's novels are Speaking of Summer, Solemn, Conception and Upstate. 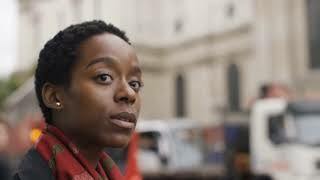 She was born and raised in small town Illinois, and has three degrees in English Literature and Writing from University of Chicago and The New School in New York City. She and her work have been featured in Essence, The London Observer/Guardian, People, Entertainment Weekly, Marie Claire, Elle and many more. Her New School M.F.A. thesis sparked a remarkable literary debut: Upstate is an American Library Association ALEX Award winner, Hurston/Wright Foundation Debut Fiction nominee, Terry McMillan Young Author Award winner, its audiobook won an Earphones Award and Audie Award in Literary Fiction with narrators Chadwick Boseman and Heather Simms, and it is published in the UK and France. Although initially written for an adult audience, the book remains listed on the New York Public Library's List of Top Books for Teens. In 2018, the National Book Foundation selected the novel as one of 5 for its inaugural season of the Literature for Justice program. Her follow-up Conception received a Friends of American Writers Award. 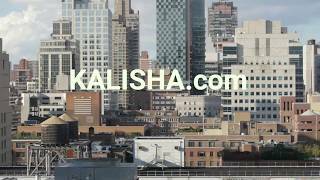 Kalisha Buckhanon is a prolific creator with stories, essays and TV commentary for such places as BET, ID Channel, TV One, She Knows, Oxford American, Fiction International, and many more including her blog at www.negression.com. To ask Kalisha Buckhanon questions, please sign up. What's the release date for the new novel, Women and Girls? Hello Ms. Buckhanon! I don't have a question, but I just have to tell you the 'Upstate' and 'Conception' are absolutely amazing! Read both of them, cover to cover in less than a week!! I'm such a fan! would you ever consider following up on either of these stories? Also, are you planning to write another novel in the epistolary format you used in 'Upstate'? Happy Women's History Month, and Suggestions! I am so excited for all the tributes, reminders and dedications to important women in our American and world history. As with Black History Month, I am always grateful for the opportunity to celebrate people and things that matter to me, influenced me and shaped my path in life. We’d love your help. Let us know what’s wrong with this preview of Bannerless by Carrie Vaughn. We’d love your help. Let us know what’s wrong with this preview of Zora and Langston by Yuval Taylor. We’d love your help. Let us know what’s wrong with this preview of Like Normal People by Karen E. Bender. We’d love your help. Let us know what’s wrong with this preview of A Town of Empty Rooms by Karen E. Bender. We’d love your help. Let us know what’s wrong with this preview of Choice by Karen E. Bender. We’d love your help. Let us know what’s wrong with this preview of Refund by Karen E. Bender.